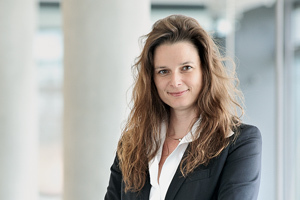 Martina Steul-Fischer (born in 1972) studied business studies at Philipps-Universität Marburg and Goethe University Frankfurt from 1991 to 1996. She worked as a research associate at Goethe University Frankfurt from 1996 to 2003 before receiving her doctoral degree in 2003. Martina Steul-Fischer was a habilitation candidate at the University of Leipzig from 2004 to 2005 and at the University of Wuppertal from 2006 to 2008, completing her habilitation at the latter in 2008. She has been Chair of Insurance Marketing at Friedrich-Alexander-Universität Erlangen-Nürnberg (FAU) since 2008. She has spent various research and teaching periods abroad, including at Université Lumière Lyon II, France, and the University of Maryland, USA. Professor Steul-Fischer is the women’s representative for the School of Business and Economics, and the Faculty of Business, Economics, and Law. Her research focuses on service marketing and financial service marketing. Her current research projects are concerned with consumer behavior and pricing management in financial services, as well as with the design and management of insurance selling. The research projects are practical and empirical, with a special focus on experimental studies.